Having put a few hundred miles on the Wolseley now, it seems that there is quite an amount of drone at cruising speeds (50). This is the only twin carb ADO16 i have driven so I'm not sure if it's normal due to the different exhaust manifold. I remember my single carb 1100 being quieter. The exhaust is correctly mounted and isn't contacting anything. Exhaust is new, mild steel, same layout as original. Exhaust manifold is original and inlet manifold/carburettors/airbox are original (new gaskets throughout). I've replaced two of the three engine mountings, still have the awkward one to do front rear but it is intact. I've also replaced the remote change mountings, sandwich plate and bobbin. I haven't touched the subframe mountings, they are intact but original so are probably hard. There's no sound deadening on the bulkhead or bonnet and it doesn't look as if there ever has been, not sure if it was an original fittment to the Wolseley or not. If it's just normal with the manifold arrangement then I'm not bothered but if it's something I can improve on I would like to, especially as my old dad moans about it every time he's in the car as he doesn't think it's right, although he's only driven single carb' ADO16's over the years. It's an ace car to cruise along mainly for the reason that it's a base model so has the bare dash which is perfect for resting ones clutch leg on! What carburettor and exhaust manifold are you running ? It's a hs4 on a alloy inlet with a Maniflow free flow. In these cars, having the engine and front subframe mountings correctly aligned makes a huge difference in the NVH front. Engine mountings should be tightened in sequence. With all of them loose, you start with the one under the clutch cover, then the rear mounting (yes, the PITA one) to the engine, then rear mounting to subframe, then front mounting to the engine, front mounting to bracket, bracket to subframe. Then you attach the gearchange remote, and adjust the tail of it (under the gearlever) in such a way that the both the sandwich and the bobbin are not stretched in any way. By the way i found that replacement bobbins are very hard and transmit considerable more noise to the cabin. So, 46 years later, i am still using the original soft one. After all that you hang the exhaust, again taking care not to stress any of the rubber mountings in the process. However, biggest difference in my car was made by the replacement of the upper front subframe mountings. I could not really tell if the difference was due to the deterioration of the original mountings (they didn't look too bad to be honest) or the correct alignment of the subframe that removed the stress from the rubber. Interesting indeed. Needless to say i didn't do any of this when replacing the mountings. Looks like it's worth starting from scratch again though. Thanks for the detailed reply. Is this something you've learned by experience or did BMC prescribe the sequence ?. Also, any hints on changing the rear engine mounting ?. I've looked at it from above and below and every time I just say I'll do it some other time as it looks a major hassle. Regarding the tightening sequence, i think that i faintly remember a service bulletin about it. In the early days there were complaints like yours affecting some cars, and the factory prescription was a replacement of front subframe mountings with ones having natural rubber, and the aformentioned tightening sequence. But if you think of it, it also sounds very reasonable, there's no secret ingredient in it. There are no shortcuts if you need to replace the rear mounting. But if it's not badly sagged, or oil saturated, you can leave it well alone. A new one will probably be harder than the old one, and the engine will make its presence more apparent (nothing like a bad drone though). 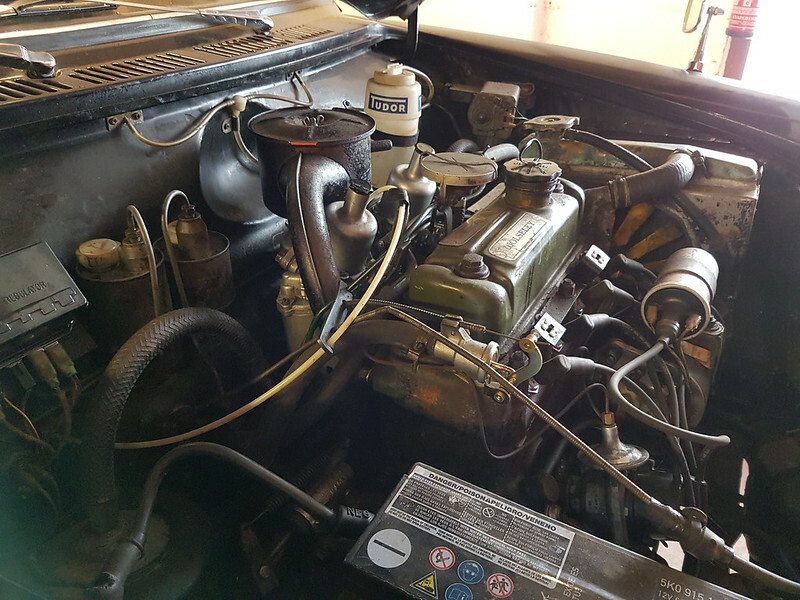 If you really need to change it, you have to place the car in such a way that it would be possible to work both under the bonnet and under the car. Working underneath you have to disconnect the exhaust and gearchange remote, as well as undo the 7/16 nut fastening the mounting to the subframe. Under the bonnet you'd better remove the carbs in order to have some reasonable working space. If you can remove the exhaust manifold, it would be even better. Then you have to support the engine in something that will allow it to slide forward, and remove the 3 bolts fastening the front bracket mounting to the subframe. Then try to undo the 2 nuts holding the rear mounting to the engine plate. Probably you will find that none of your available spanners will fit there, so you will have to be creative with a grinder or something. Once these nuts are loose, start to raise and pull the engine forwards to give you enough space to remove them completely. Continue to raise and pull the engine until you can wiggle the old mounting out. Reverse the procedure for reassembly, taking care on the tighening sequence. Easier to be said than done, but if you must change it, there is no other way around. Through the years i have been experimenting a lot, trying to bring my ADO16 into modern levels of NVH. I guess, the ultimate answer is to revise completely the mounting system and points, but all these remained just loose ideas. A softer rubber compound makes a considerable difference (i have casted my own mountings) but they tended to expire rather soon. The last and most effective thing that i did was to remove a chunk of rubber in the center of each mounting, and graft a piece of sorbothane rubber. These mountings are still in the car after a decade or so of regular use. I don't remember if the mountings I fitted were genuine MOWOG or something like QH, probably the latter. The rear mounting does look as if it has sheared from the plate but I'll have a closer look. I'll probably start with slackening everything and retightening per the sequence. 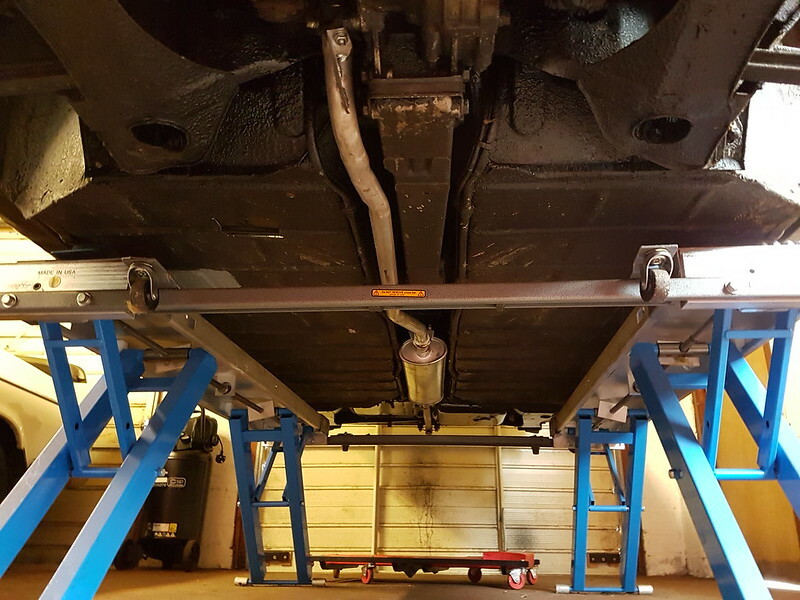 Are the front upper subframe mountings the most likely to be attributing to the noise ?. Finding genuine items will be difficult and I'd hate to make it worse by fitting inferior parts.